Are you a pie lover? If so, then join us and learn the ‘how to’s’ from an experienced Amish baker. 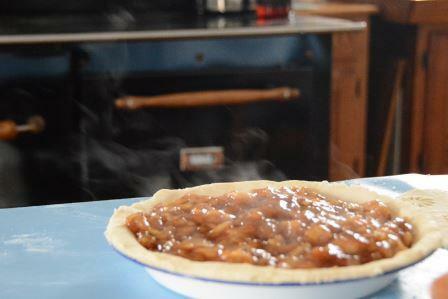 Your Amish instructor will expertly whip up several types of pies from scratch. Learn about using a wood stove and sample the results with coffee. Not only will you gain insight into the Amish lifestyle, you’ll create a warm and tasty memory. The class meets at Eagle Bluff and travels via Eagle Bluff van to the Amish home.